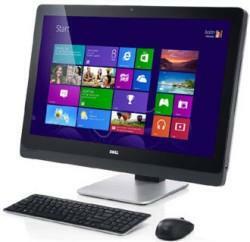 Since the arrival of Windows 8 in market, many companies have introduced all-in-one PCs with multi-touch functionality. Dell is one of them. 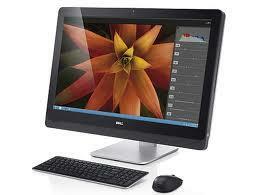 Read on the article to find the specifications, features & prices of all-in-one Windows 8 Desktop PCs from Dell. These days, many computer manufacturers have introduced a range of new gadgets in computer market. Dell also introduced its Windows 8 plan by releasing a variety of Win-8 products in market. 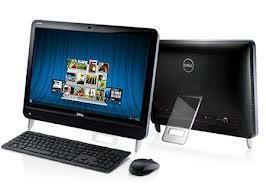 These products include laptops, tablets, convertibles as well as All in One Desktop PCs. The AIO desktop PCs are very user friendly and have light weight, wireless keyboard & mouse. They not only look good but also give high performance. In their stylish & compact chassis, these gadgets include almost every feature a user may require. In my previous two posts on All in One Windows 8 laptops from HP Part-1 and Part-2, I had covered almost all AIO PCs from HP and this time I am covering such desktop PCs from Dell. My first pick is XPS One 27 PC with 27 inches HD display having multi-touch capacity screen and Intel based Core i5 processor. My second pick is 23 inches Inspiron One 2320 AIO PC with Core i3-2100 processor, crispy JBL speakers and a built-in HD Webcam. The third and final product is OptiPlex 9010 with multi touch, Intel vPro-certified systems that provide great audio & video experience to users. XPS One 27 is a stylish premium desktop PC packed with a high resolution quad HD display screen having 10 point finger-touch sensing technology. Its fully fold flat stand keeps the device erect on surface allowing users a comfortable working experience. Dell XPS One 27 is suitable for both professionals and home-users. The Windows 8 PC features a 27-inch wide display with Full Quad HD screen resolution of 2, 560 x 1, 440 pixels. It runs on Windows 8 platform and offers an ultimate multi-touch feature. Such high resolution devices are most suitable for professional photographers who require high resolution screens and quality images. The machine comes with a 720p HD webcam. Coming to system configuration, Dell offers its users opportunity to opt among the Core i5 or i7 Intel Ivy Bridge processor coupled with 15GB RAM and 2TB HDD. Besides this, 32GB SSD storage is also provided by Dell for rapid start and fast boot up processes. To boost up the system performance, there is also a 2GB of Nvidia GeForce GT 640M discrete graphics card present in the device. System is designed with Integrated Waves MaxxAudio 4 sound enhancement technology to give an ultimate audio experience to the user. TV tuner card can be added to device if you want to watch television. It comes preloaded with Skype for video chatting, Mcafee Antivirus with trial subscription and many more software. For connectivity, multiple ports such as Bluetooth 4.0, Wi-Fi 802.11 b/g/n, USB 2.0, USB 4.0, 8 in one memory card reader, integrated DVDRW drive or Blu-ray disc drive as well as HSMI input and output connectors are available in device. The price of the device is not yet officially disclosed by Dell. Dell XPS One 27 is expected to arrive in Indian market very soon. This all-in-one PC features a 23 inch (58.4cm) Full HD multi touch display screen with 1, 920 x 1, 080 pixels screen resolution as well as WLED backlight. The device is powered by an Intel Core i3-2100 processor clocked at 3.10 GHz. It uses Intel Graphics HD 2000. A 3MB cache coupled with 6GB of DDR3 RAM as well as 1TB SSD/HDD (internal storage) and an 8-in-1 card reader are present in the device. Coming to looks of the device, Windows 8 PC has 397 x 66.5 x 567mm dimensions, sleek shape and light weight. It adds to your drawing room's decoration while its wireless keyboard and mouse reduces clutter and keeps your workplace clean. Wireless keyboard allows you to work on device from a proper distance and fits under the display screen when not in use. Its crispy JBL speakers give quality audio and apps such as YouPaint help kids enhance creativity. A built-in HD webcam is also provided in the device for online video chat. For connectivity, the system has multiple connectors such as IEEE 802.11b/g/n wire LAN, HDMI In, VGA as well as 4 USB 2.0 ports at rear side. These many ports ensure easy data transfer by users. This desktop PC is available in market at a price of $920. This is a newly launched all in one desktop from Dell which is in fact an updated version of Optilex 9010 all-in-one PC with touch. It caters to business needs of professionals. It is a touch enabled device running on Microsoft's new flagship operating platform. The Dell machine comes packed with many Intel vPro-certified systems like all-in-one factor, small form factor and mini tower. The device features 23-inch display with multi-point touch technology and an articulating stand fitting screen for comfortable use. The machine has 1, 920 x 1, 080 pixels of standard screen resolution panel with a fixed or rotating camera. As this machine is targeted at business men, it comes packed with several business and ergonomic features such as multi-touch Windows 8 operating system and an articulate stand that allows users easy enterprise-class IT management. Optilex 9010 all-in-one PC with touch is available in market at a price of $963.